If you are looking for self-storage in Mobile, AL, location is of the utmost importance. You need a self storage facility in a central location, easy to access from your home or work. 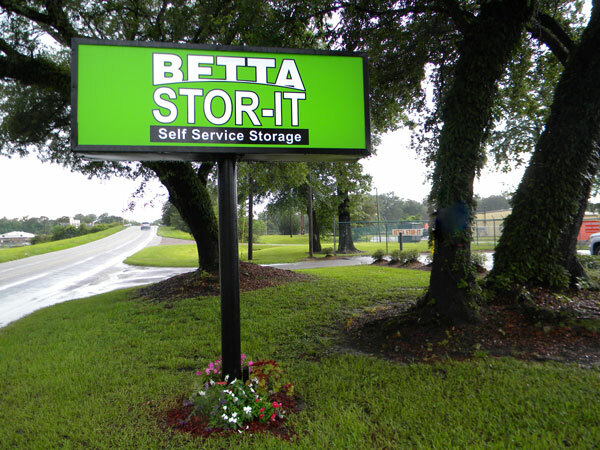 Betta Stor-It offers a convenient storage facility in a central Mobile, AL location near downtown Mobile. With a location near U.S. Highway 90, McVay Drive and Dauphin Island Parkway, we are easy to find and readily accessible, no matter where you live or work in Mobile. 50 Square Feet – About the size of a walk-in closet, this unit can fit a chest of drawers, chair and couch. 100 Square Feet – Large enough for the items found in a one-bedroom apartment. 150 Square Feet – Large enough to hold the furniture and appliances for a two-bedroom apartment or the furniture for a small house. 200 Square Feet – About the size of a one-car garage, this unit will hold the contents of a small house. 300 Square Feet – Our largest option, this unit will hold the same amount as a 40-foot moving van. Not sure what size you need? Use our convenient space calculator for an instant estimate of the unit that will best meet your needs. No matter which one you choose, you will enjoy superior security at our gated facility as you store your belongings securely and conveniently. At Betta Stor-It, our goal is to make your self storage experience as hassle-free as possible. To make it faster and easier for our clients to reserve the unit they need, we now offer online reservations. If you are in need of a self-storage unit, simply find the size you need and apply online for your unit. We will approve your application quickly, then you can more your things into our secure facility. Your first month is free, so reserve your unit today! I was very impressed with Betta Stor-It. Their storage facility appeared to be very clean and secure, which was important to me. The staff I worked was very courteous and professional. I would recommend them to anyone looking for additional storage.